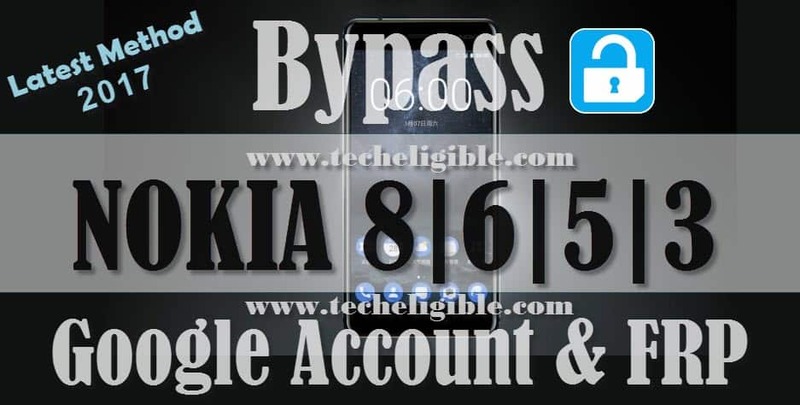 Bypass Nokia Google Account easily and remove frp protection and add latest gmail account in your device, this method is for almost Nokia android devices, whether it is android 7.0 or android 7.1.1, this method would work perfectly with Nokia 3, Nokia 5, Nokia 6, and Nokia 8. 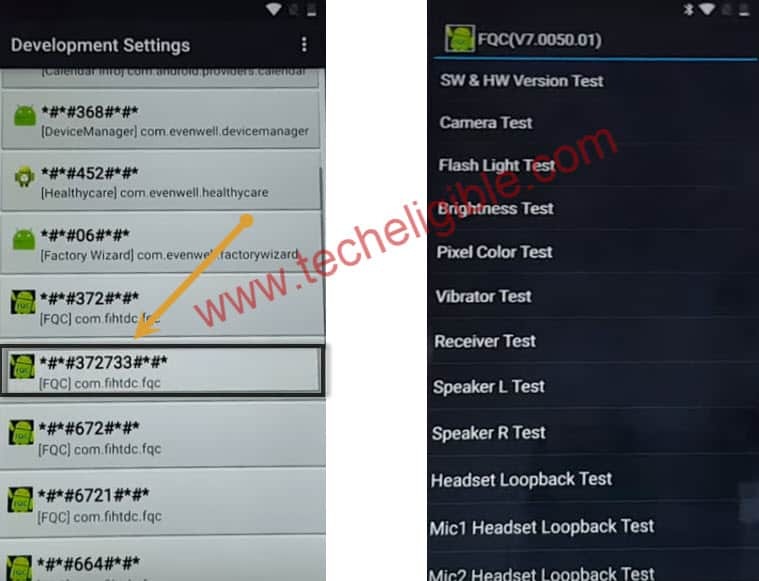 Note: This method is successfully tested with Nokia 6, Android 7.1.1, Patch Level August 1 2017. ⇒ Now Connect “Wi-Fi” in your nokia device to successfully Bypass Nokia Google Account. ⇒ Once “Wi-Fi” connected successfully, go back to “Welcome” screen again. ⇒ Tap on “Vision Settings”. ⇒ After that tap on “Talkback”, and then turn on “Talkback”. 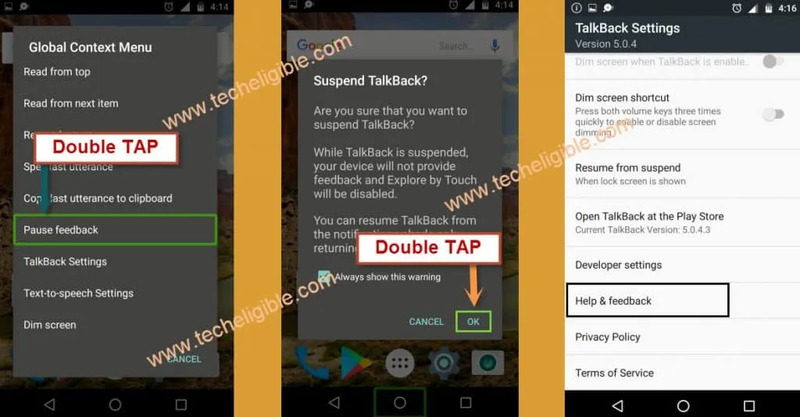 ⇒ Double tap on “Talkback Settings”. ⇒ Now again “Swipe Down to Right”, to bring “Global Context Menu”. ⇒ Double tap on “Suspend feedback”, after that double tap on “OK”. ⇒ Tap on “Help & Feedback”. ⇒ Tap on “Search”, after that type there “Voice”. ⇒ Now tap on “Voice” from searched result. 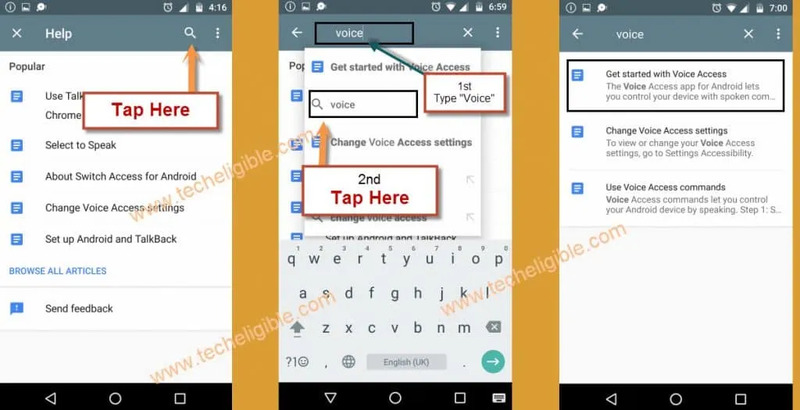 ⇒ After that tap on “Get started with Voice Access”. ⇒ Now tap on “Youtube Video” to play icon, after that “Share Arrow” from video corner. 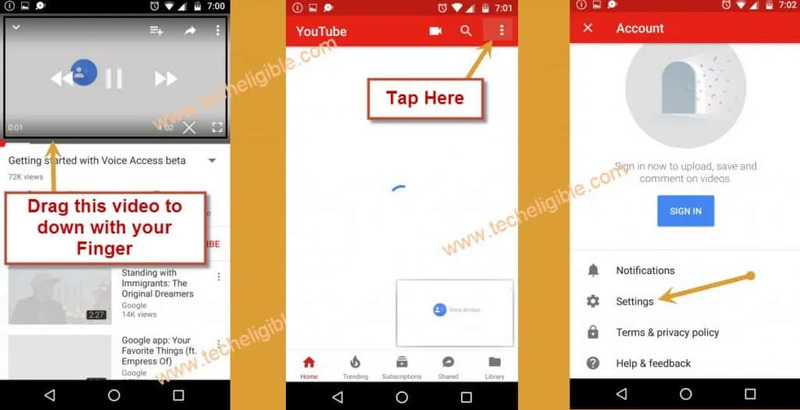 Remember: To Bypass Nokia Google Account, we have to open chrome browser, and google, so that we could download frp tools and install them to remove frp lock. ⇒ Drag down “Youtube Video”, and then tap on “3 dots” from top right corner, after that tap on “Settings”. 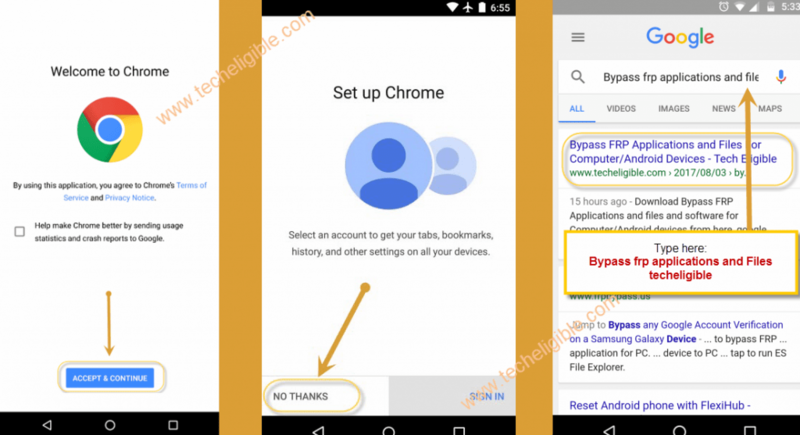 ⇒ Deselect “Help make chrome…..”, after that, Tap on “Accept & Continue”, and then “No Thanks”. 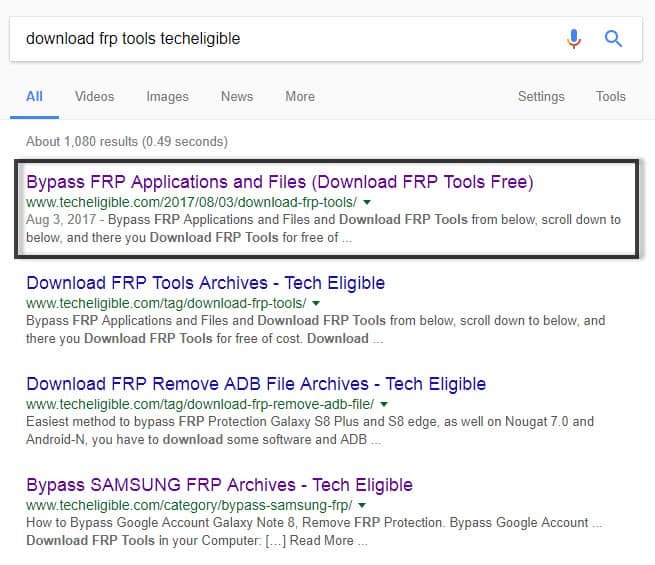 ⇒ Type in chrome search bar “Bypass FRP Applications and Files Techeligible“. ⇒ Open most relevant search result (as shown in below image). 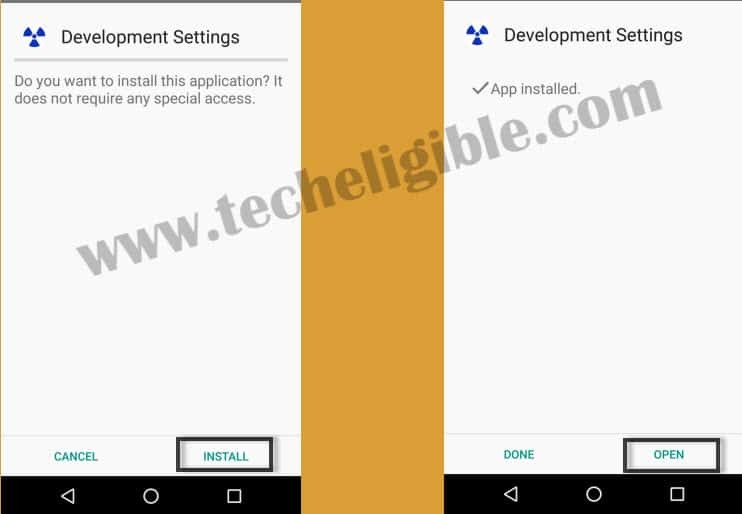 ⇒ Just tap on “Development Settings” to download in your Nokia Device. ⇒ You will get a popup once downloading finish, just tap on “OPEN” to go to “Download Folder”. ⇒ Note: If you get an “Installation Blocked” popup, tap on “Settings” from popup, and then enable “Unknown Sources”. 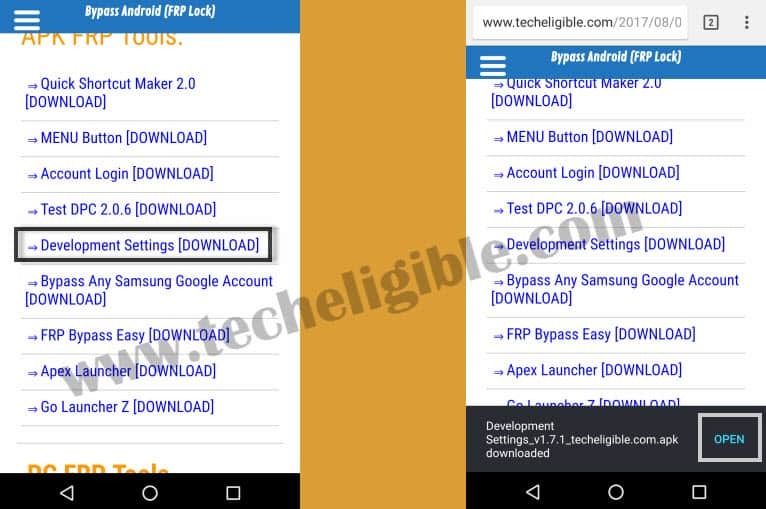 ⇒ Now tap on “Back Key” to go back to “Download Page” where from you downloaded this apk file. ⇒ Again download it, and open it. ⇒ Now tap on “Install”, after that “Open”. ⇒ Tap on “*#*#372733#*#*” code, and then “FQC” screen will appear. 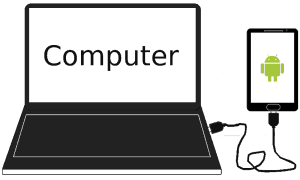 ⇒ Connect your device to your computer via micro USB cable. ⇒ Make sure, your device has successfully connected to your computer. 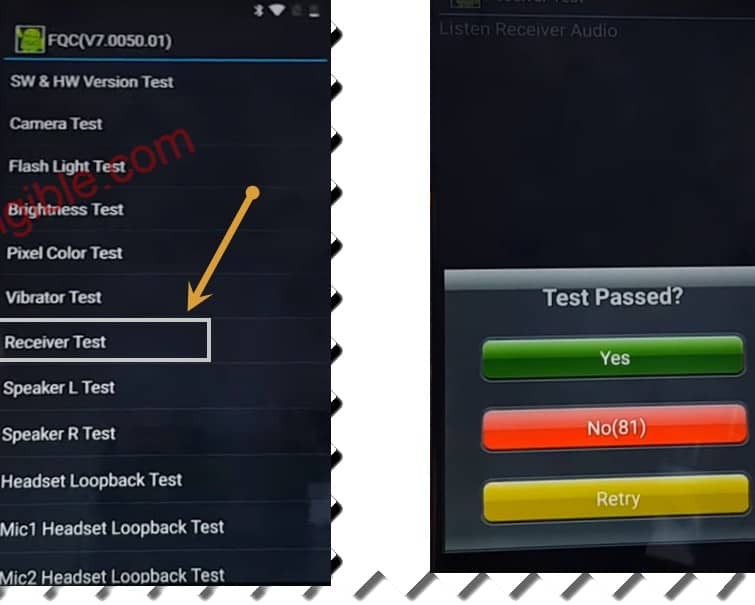 ⇒ Now tap on “Receiver Test” from your Nokia Device. 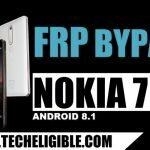 ⇒ Download from there “Nokia ADB FRP”, and extract it. 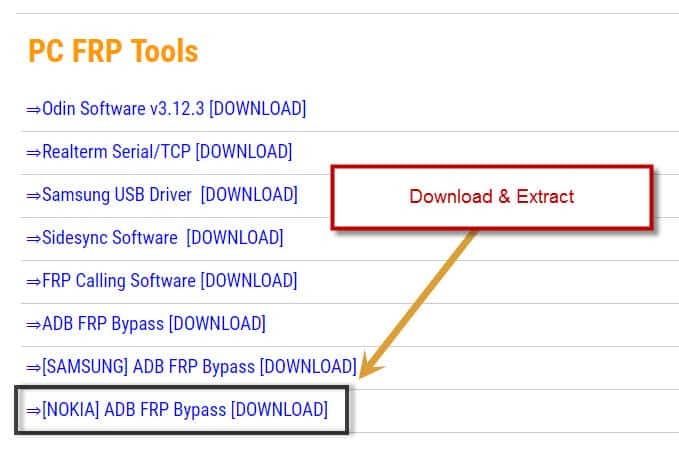 ⇒ Extract downloaded folder, and go to “ADB FRP” folder. ⇒ Right click on “BYPASS-FRP.bat” file and open it. ⇒ Command Prompt window will appear. ⇒ You will receive a popup in your Nokia device “Allow USB Debugging” from there, allow it. ⇒ Now close again “CMD” window and again open it by right click on “BYPASS-FRP.bat” to make sure that your command prompt window should have same scenario as shown in below image. (This for sure that device successfully detected). ⇒ Now press any key from your keyboard, after that remove (USB Cable) from nokia device. 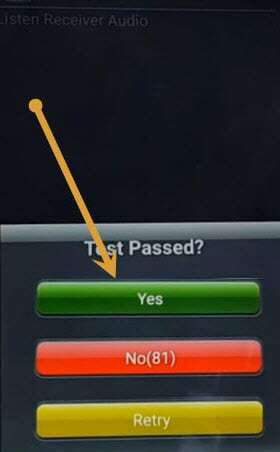 ⇒ Tap on “YES”, after that reboot your device by pressing “Volume Up + Power” keys together. ⇒ Now press “Power Key” again to start your device. 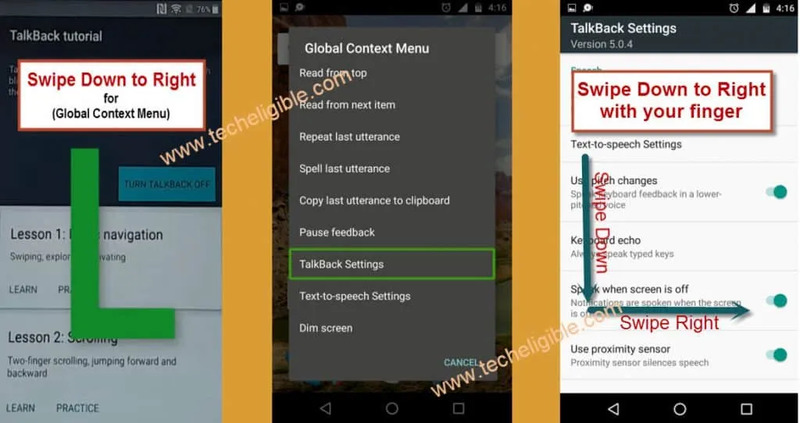 ⇒ You will get a popup of “Talkback” just double tap on “EXIT”. ⇒ Now you have successfully accessed to your device, just “Swipe Down to Right” on your Nokia screen. ⇒ Double tap on “Pause feedback”, and then double tap on “OK”. ⇒ Go to your device “Menu”, then tap on “Settings”. ⇒ Swipe up from there, and tap on “Accessibility”, and then tap on “Talkback”, and then “Turn Off” from there. ⇒ Go back to “Settings”. ⇒ After that tap on “Add Accounts”. 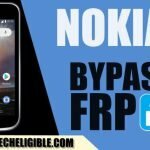 You have successfully finished to Bypass Nokia Google Account Frp lock, if you have any problem, feel free to ask us in comment box. 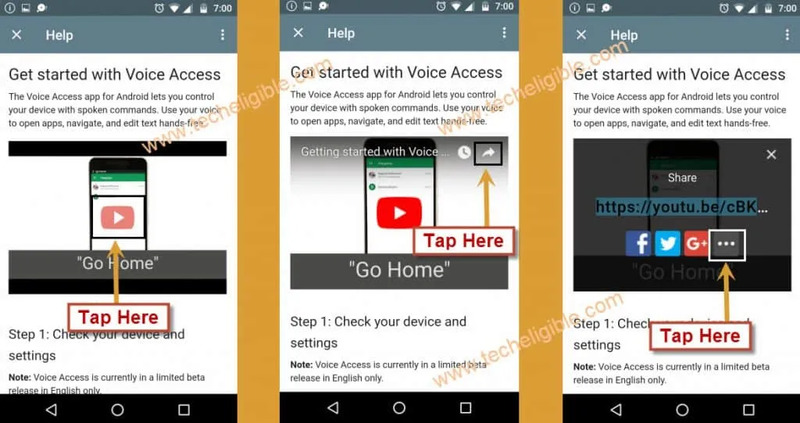 click other link from the page of “Get Started with voice access”. Sir i have nokia3. I forget my partter & my email id . How can i reopen my devise. we will update method very soon, did you try to hard reset? You guys are real bomb…. Kudos to you.. I successfully bypass it with your steps..
PLS develompent settings keeps stopping how to fix this ? ?